I love to watch a certain daily Soap Opera called Doctors on BBC 1. It first aired in 2000, while I was still at uni, meaning on afternoon “study leave” I could watch at lunchtime. In 2001 it moved to the 2.10 pm slot meaning my housemates and I would watch it after Neighbours (oh we used to love the Australian soaps!). In the days before digital TV we missed more episodes than we watched but the beauty of Doctors is that each episode (usually) can be watched as a standalone story in addition to the ongoing story-lines featuring the regular cast. There was a brief hiatus in my viewing when I graduated and began to work but I made up for this while on maternity leave in 2003 (and 2006, 2008 and 2011!). It helped make the constantly breastfeeding years bearable! Conveniently for me, during this time old episodes of BBC Doctors were also aired so I more or less got to catch up with most of the episodes that I missed during my break. Now I work from home so I either watch the soap during my “lunch break” or I record it and watch later while doing mind numbing chores such as folding clothes/chopping veg (sometimes I even treat myself and sit down and watch it with a cup of tea, it’s all very rock and roll over here!). Every year we go to the Little Hearts Matter Open Day in Birmingham. 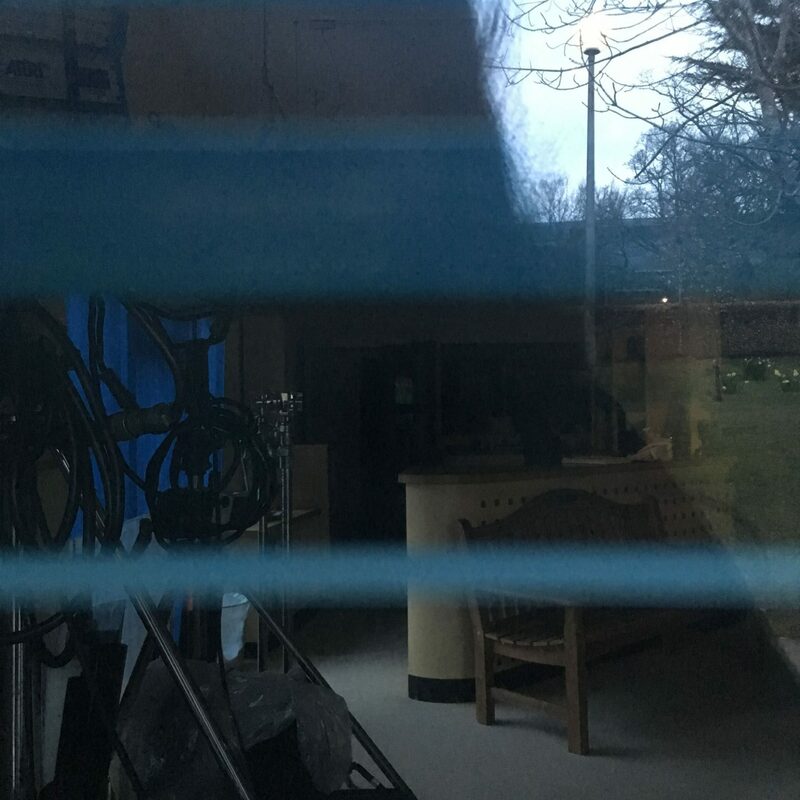 Recently I’ve seen fellow Doctors fans share snaps of themselves at the set and discovered this is based in Selly Oak. The place name rang a bell so I had a quick Google and discovered the film set is just 1 mile from the conference centre we visit each year. So I really hoped we’d have time to come and visit it after our conference- and we did! 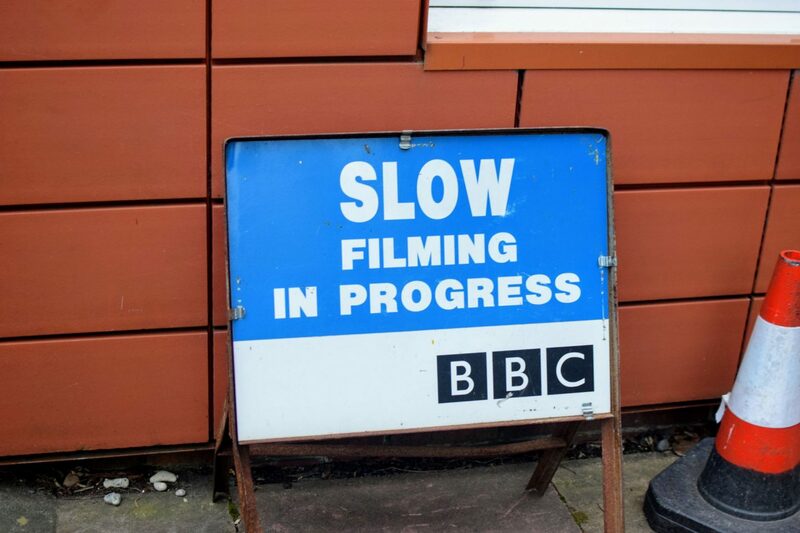 Since 2004, BBC Doctors has been filmed at BBC Birmingham Drama Village in Selly Oak. 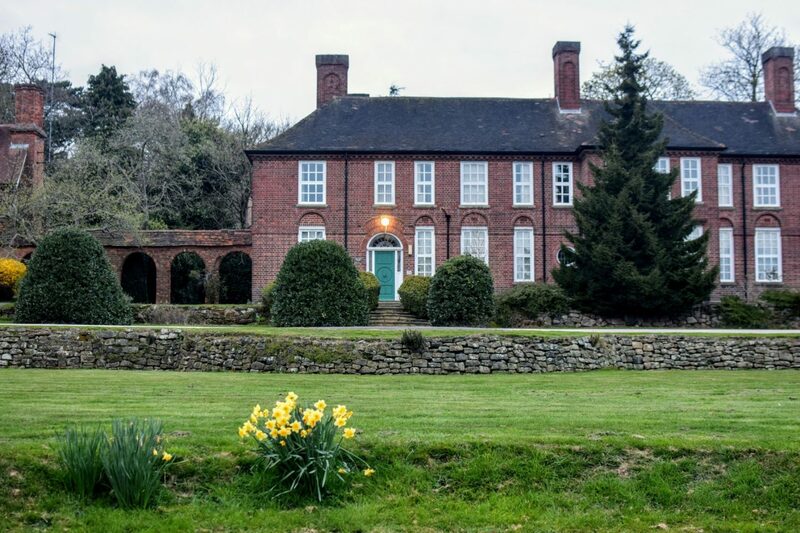 (before that it was filmed at Pebble Mill Studios in Edgbaston). 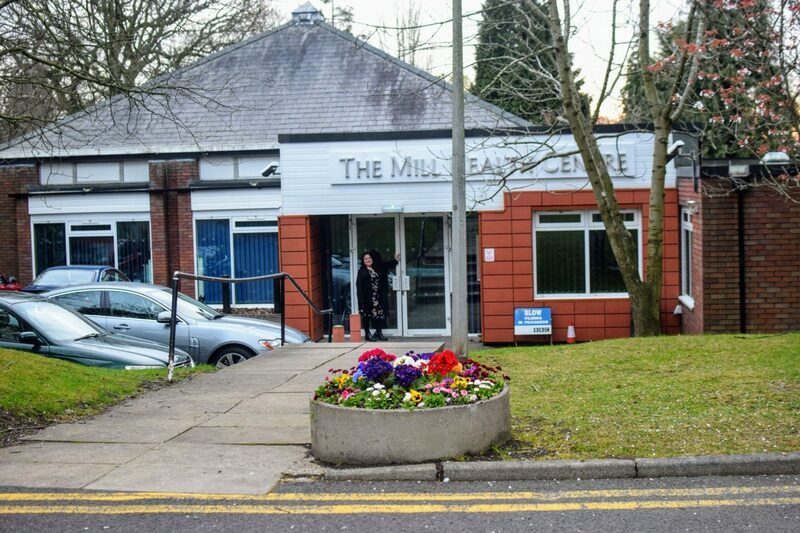 The Mill Health Centre is even marked on Google Maps. We followed Sat Nav: B29 6LB to get to The Mill (The Drama Village is B29 6LT) this got us close enough but on the opposite side of the road to where we wanted to be so we used our own navigational skills once we were near. As we visited on a Saturday evening all the car parks were empty but mainly permit spaces. If I visited during the week I would find off site parking and walk to the set. 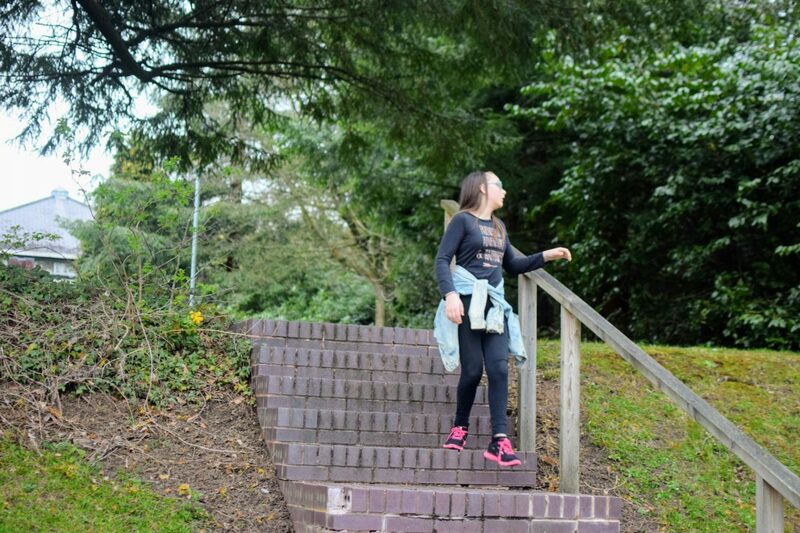 First we explored The Mill Health Centre. I admit I was really excited to see it- it was just like on TV. 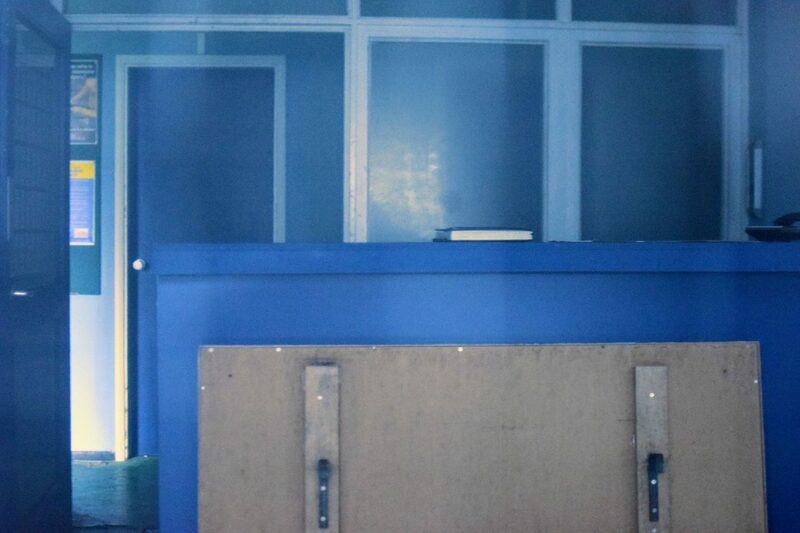 I didn’t realise that the sets are actually inside the building. So many sets I’ve visited they film the indoors scenes elsewhere in a studio. 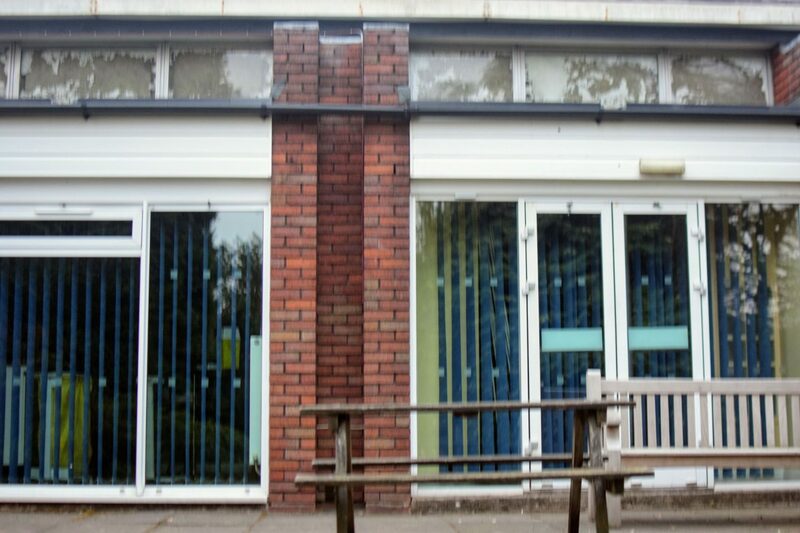 It was great to peek through the windows and see reception, the doctor’s rooms and offices. I couldn’t take very clear photos through the glass sorry, but definitely take a look if you visit (not while they’re filming though!). Can you spot Heston’s Bench? 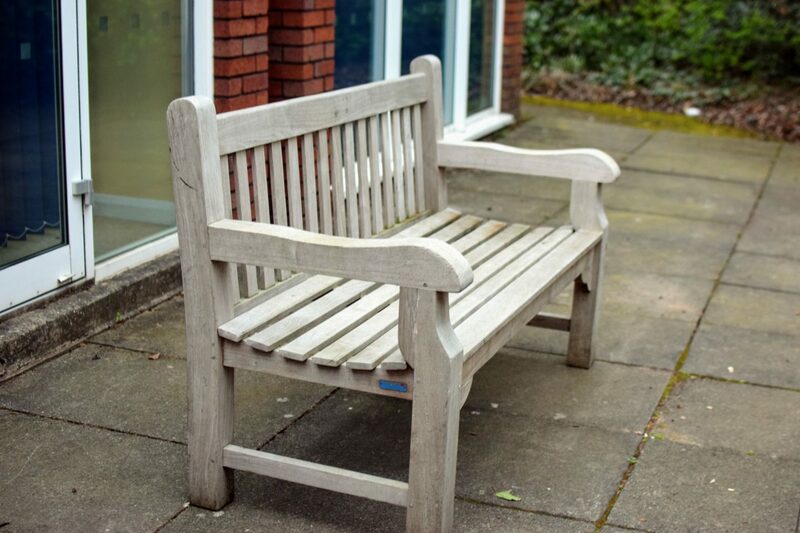 Sadly, Heston’s memorial bench is only put outside while they are filming so we couldn’t see that in it’s place. 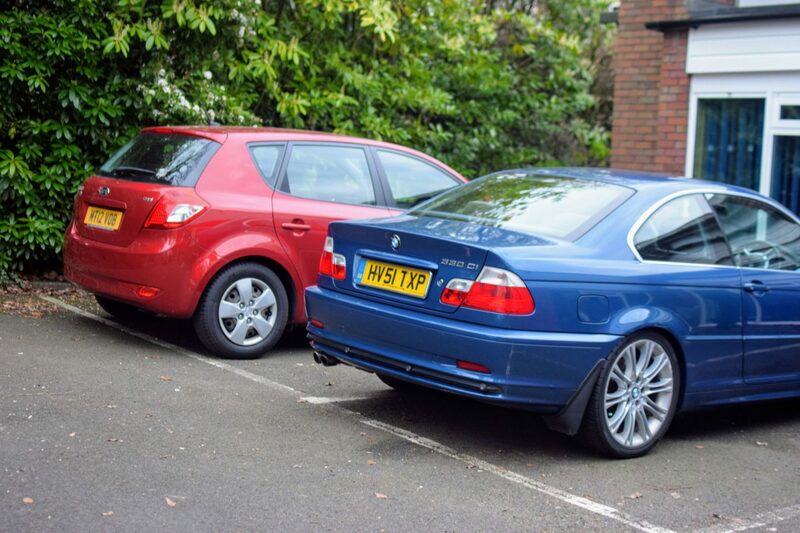 I was surprised to see the doctor’s cars all parked up though. 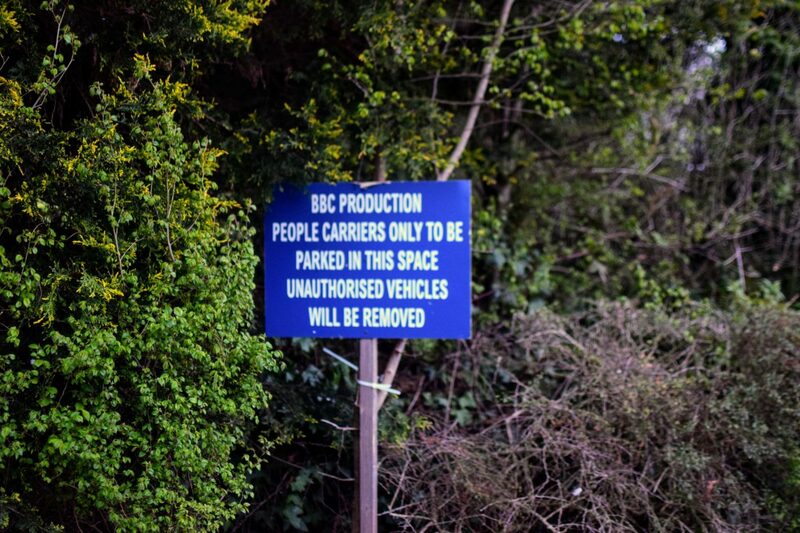 I suppose it does make sense to keep them there ready for filming. The car park seems a lot smaller in real life. There’s not a lot of parking left for the patients! We walked all the way around the Mill Health Centre then moved on to look for The Campus Surgery. 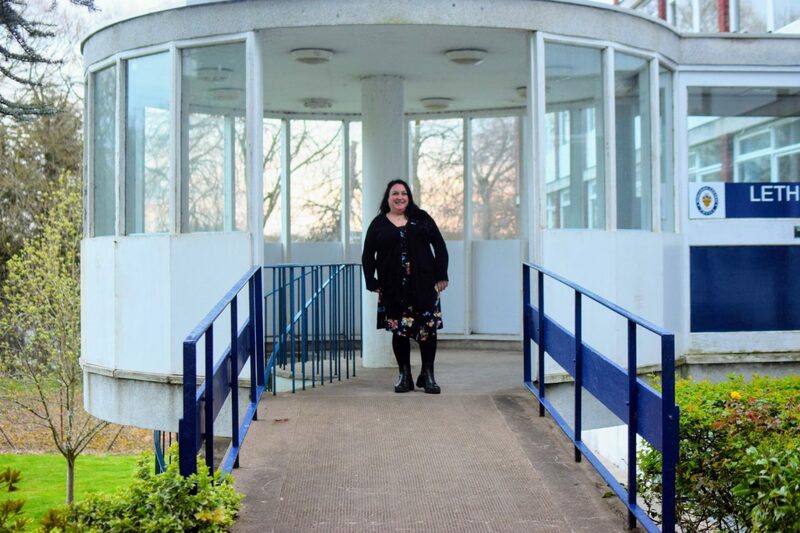 I hadn’t put a lot of planning into this visit so we basically just walked around the campus in the hope we’d find it…and we did! From the back of The Mill there was a path which we followed, went down some steps and then walked along the buildings. Along the way we found some parking spaces reserved for the cast. This is Bharti Patel (Ruhma’s) space. 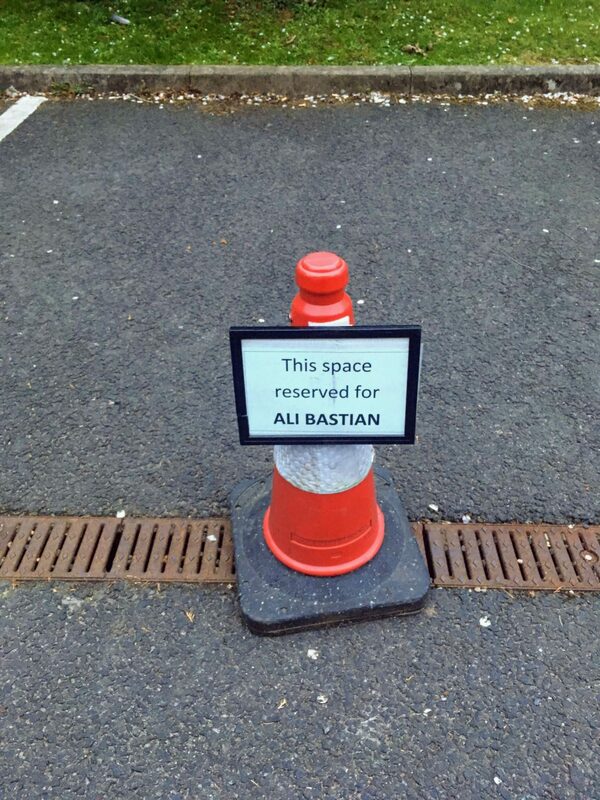 Ali Bastian’s (Becky- the new practice manager) parking space. I expect you could find more of the “cast cones” if you looked for them. 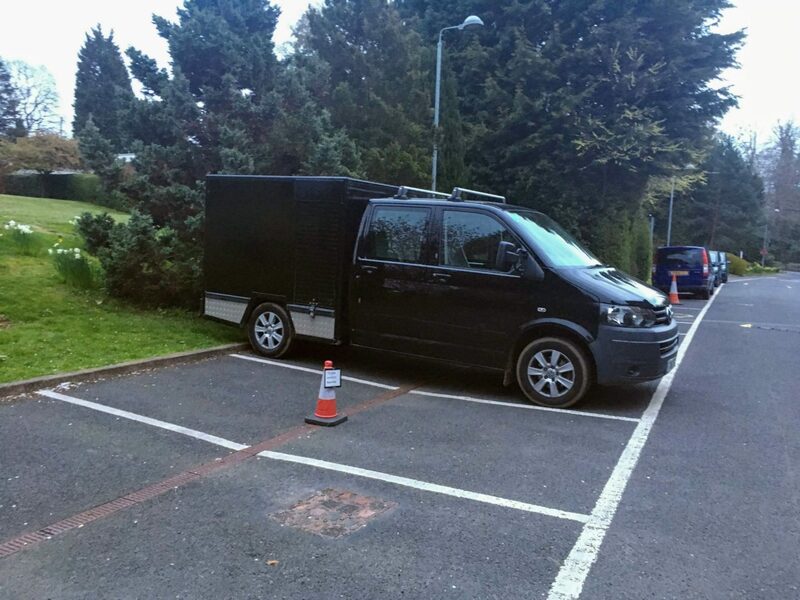 After the cast car park spaces, on our left we came to The Campus Surgery. Originally the show was about “The Riverside Health Centre”. They then set up a secondary location, “The Best Practice”. 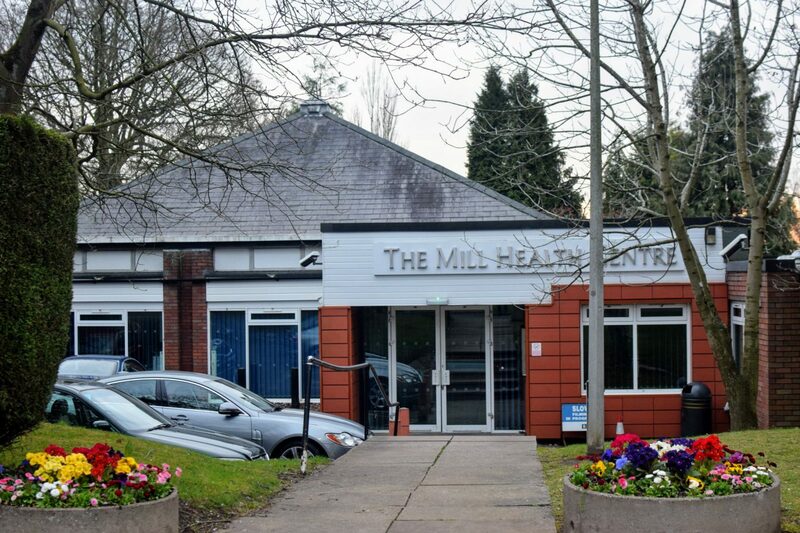 After the big explosion (and in real life the set relocation to Selly Oak) they reopened as The Mill Health Centre (possibly named in honour of Pebble Mill?) 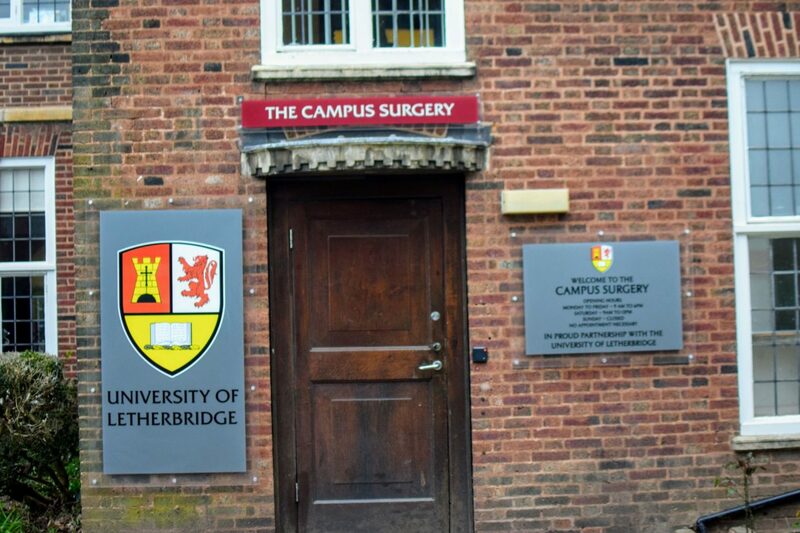 and later on opened up The Campus Surgery for the students. 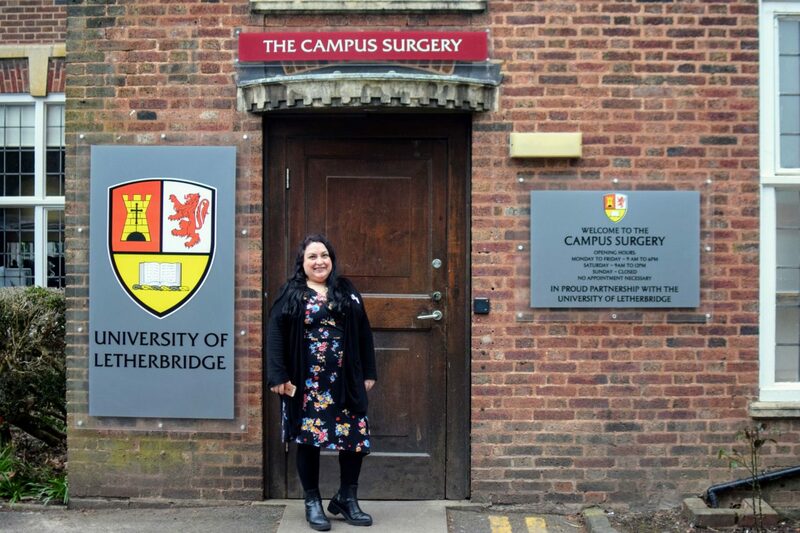 I was really happy just to have seen both the surgeries. But we could still see more TV vans parked along the way so we continued our walk forwards and then to the left. This bought us to Letherbridge Police Station. Again (on days when they’re not filming!) you can go up to the windows and have a nose- be careful you don’t end up in the cells though! 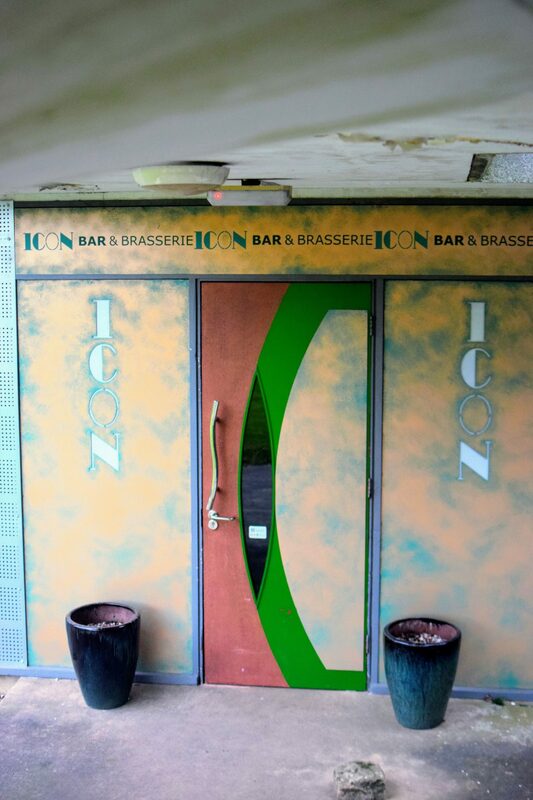 There’s rarely an episide where “The Icon” doesn’t get a mention. It always makes me fancy eating out when they go there for a “bite to eat” or a “quick drink after work”. I can’t remember if the exterior gets filmed much anymore- I’m going to look out for it in future episodes! Again you can peak inside. 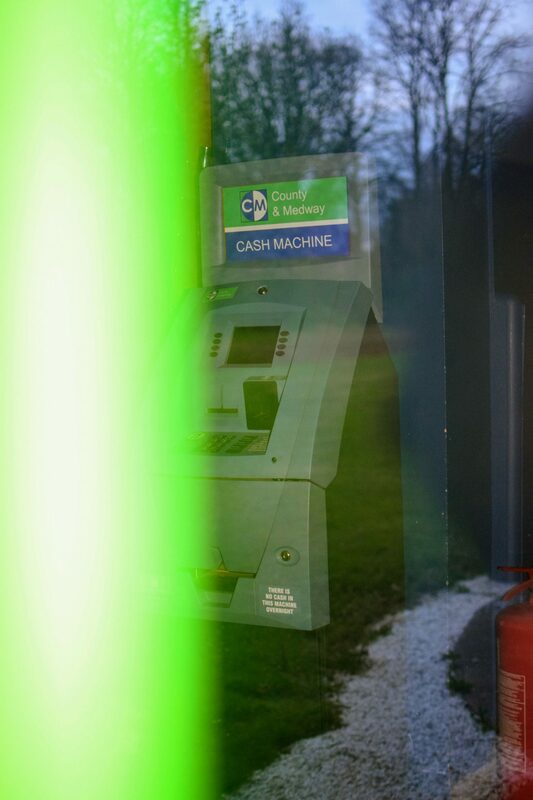 I could only spot a cash machine and lots of piled chairs. 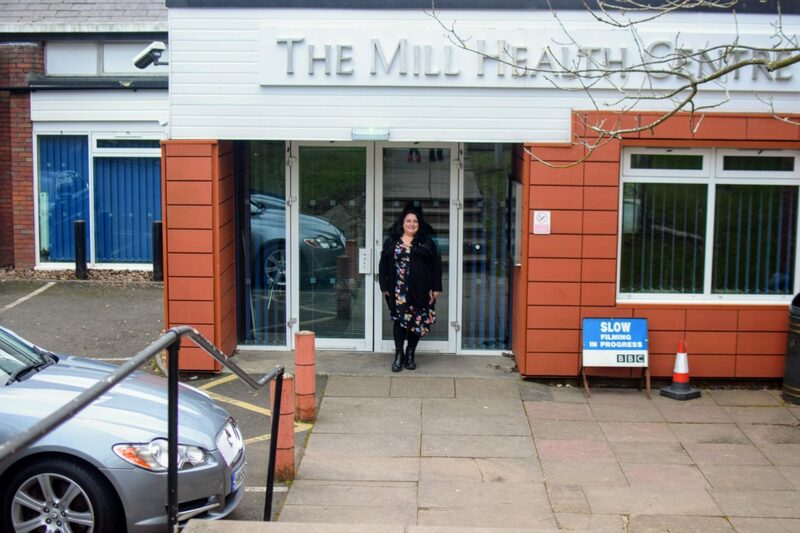 We’d been lucky enough to visit The Mill Health Centre, The Campus Surgery, Letherbridge Police Station and The Icon so we decided to head back to the car and our hotel. 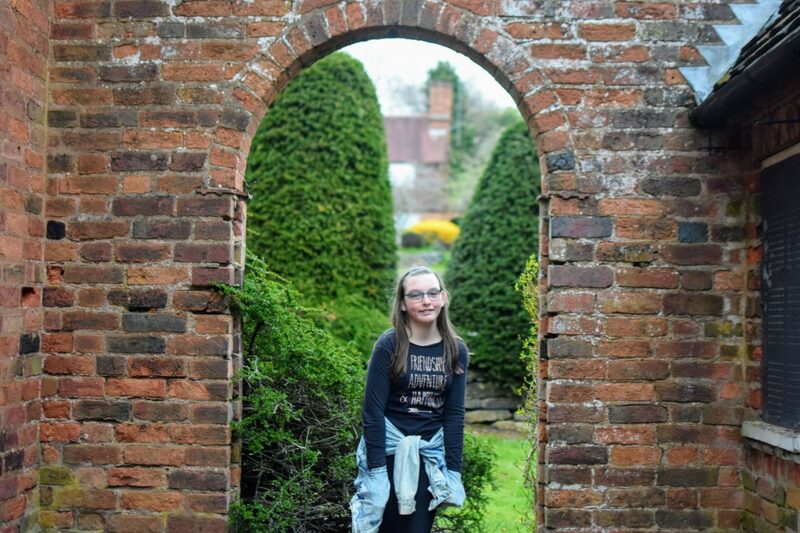 The grounds were quite scenic and interesting to explore too. 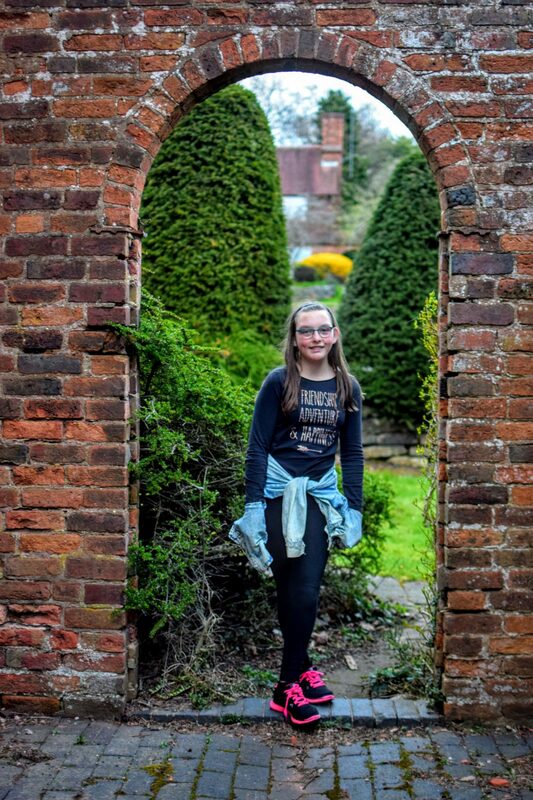 I love these archways. 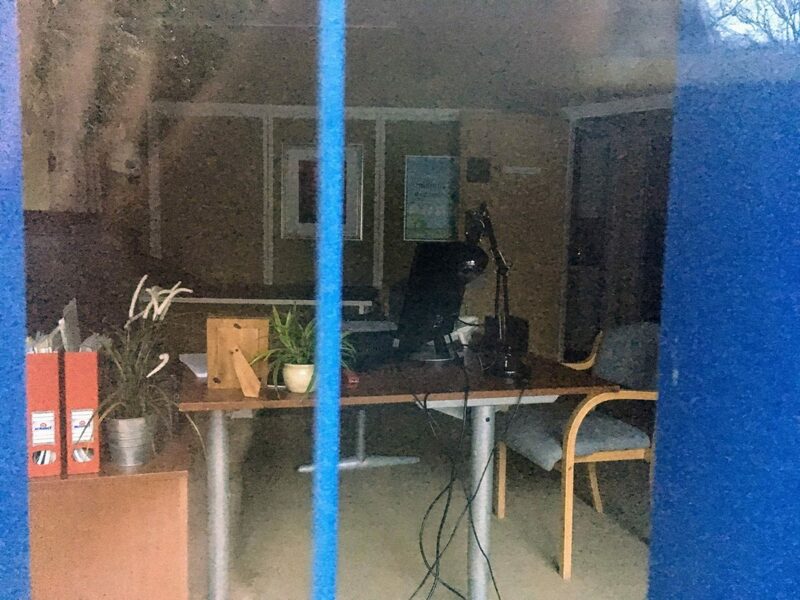 The BBC Doctors Set is located off the A38. As you can see Sat Nav B29 6LT will get you close enough then look out for it. We pulled in the turning closest to “The Mill” and parked in the big car park behind as it was the weekend and not in use. 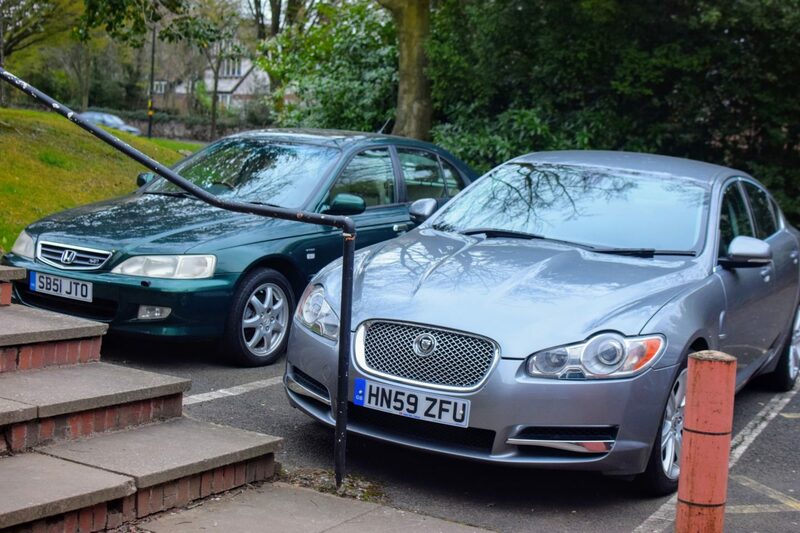 Pay and Display parking is available behind the George Cadbury Hall – charges apply Monday to Friday 08:00 and 18:00 year round (NB: charges are still applicable during non-term time). 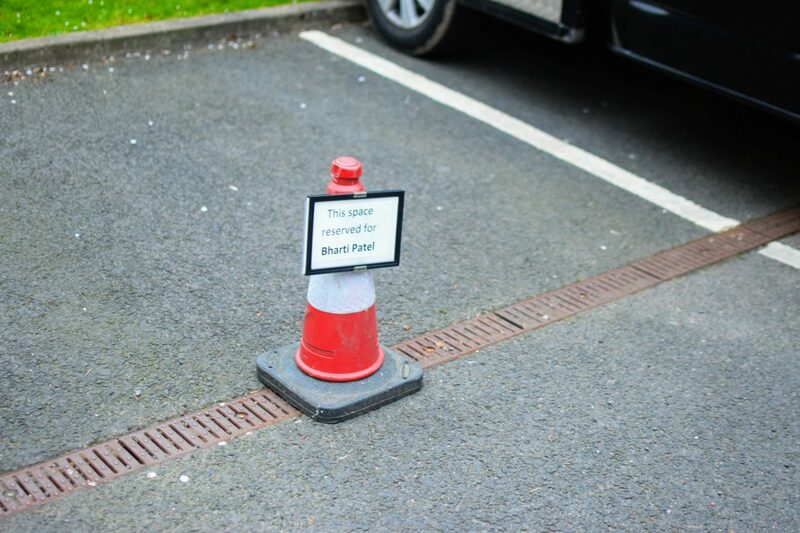 If you park here you will need to cross the A38 to get to the set. We had a look around “The Mill” and followed the path behind the building (not shown on the map). This led us to the road shown by Westhill Trust. 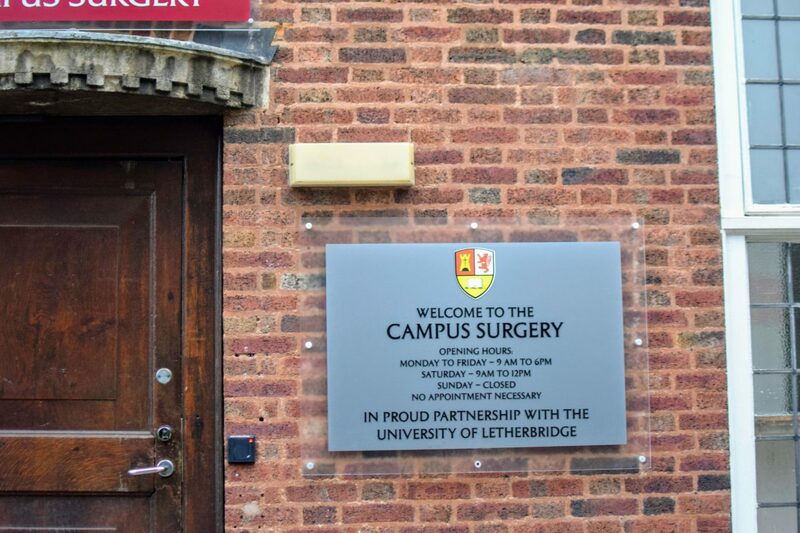 Along here look out for the cast car park spaces and The Campus Surgery. 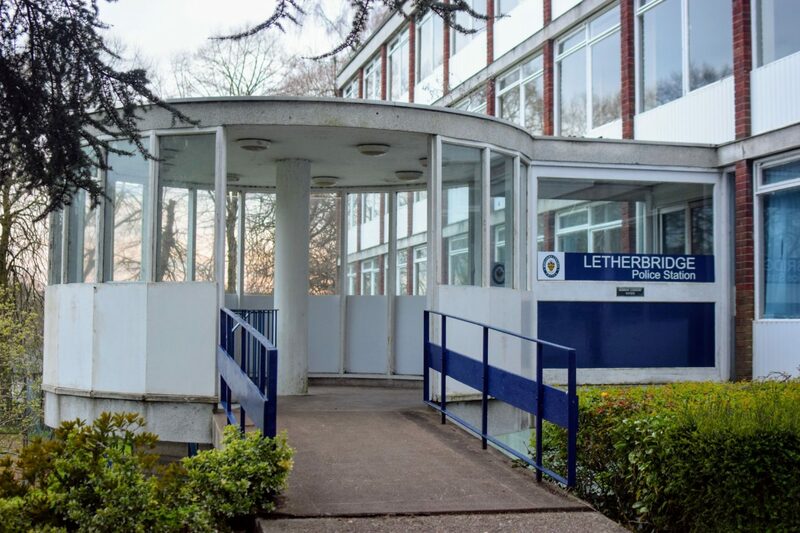 Continue forwards and turn left to see Letherbridge Police Station. 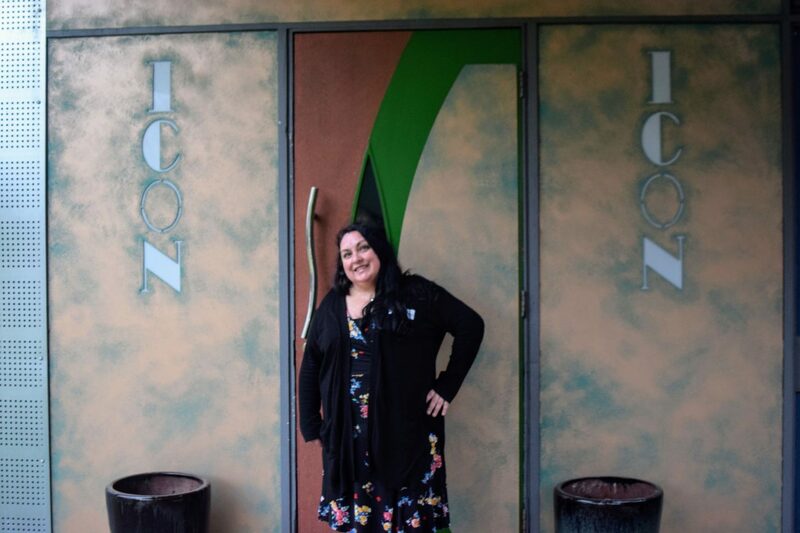 Go down the spiral stairs to visit The Icon Bar. I’m sure there are many more Doctors sets nearby and with the help of Google and fan Facebook pages you could find your favourite places to visit from Al’s pub to the park. 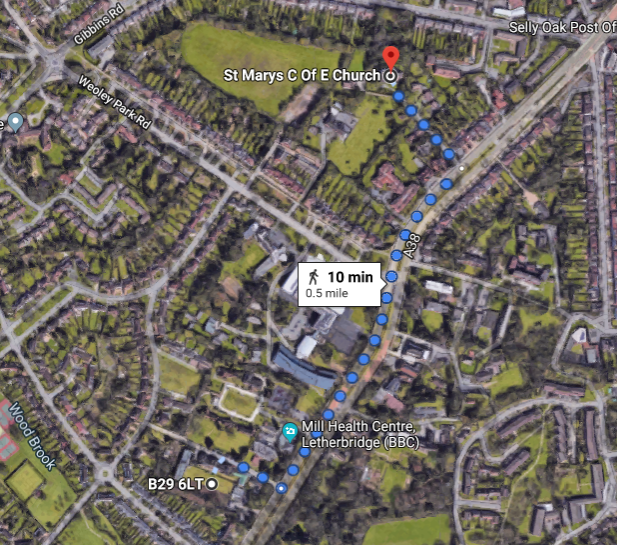 One place that you could walk to nearby is Mrs Tembe’s church. 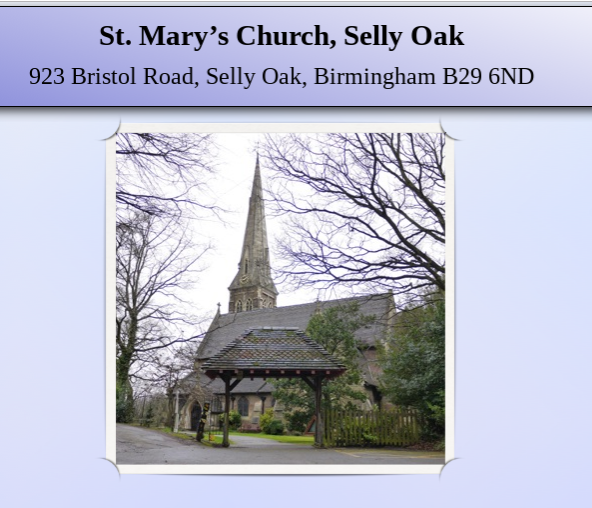 St Bernadette’s is actually St Mary’s Church, Selly Oak. They reference their link to Doctors on their website so I assume that means they welcome visitors. Please remember that it is a real place of worship. 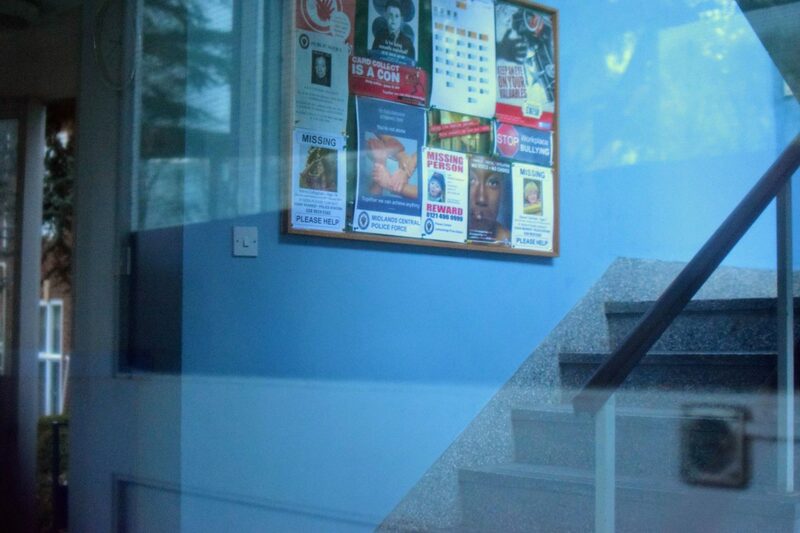 St Phil’s (Philomena) Hospital is filmed nearby at the ORLC, Orchard Learning Resource centre. Apparently Weoley Castle Square and Harbonne High Street are where a lot of the shops are filmed, the parks used are Grove Park and Cannon Hill, the Churchill Estate is filmed at a housing state further up Bristol Road and The Bell Harborne Pub has been shown too. 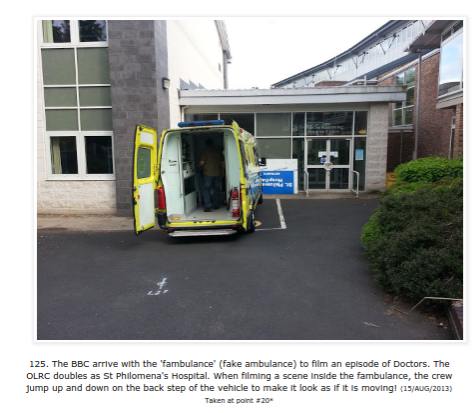 If you know of any more BBC Doctors filming locations please let me know. 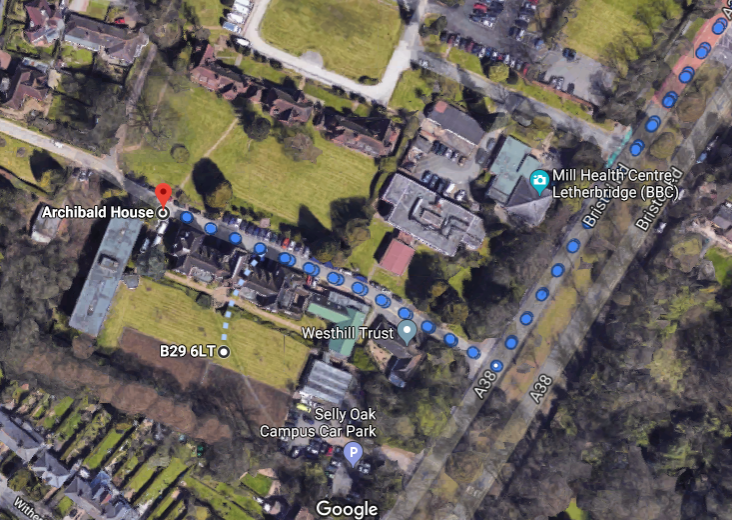 It would be nice to compile a walking route for fans of the show. I’m so pleased that I got to see this setting in real life, perhaps one day I’ll visit when they’re filming too! Are you a Doctor’s fan (if not any you’ve go to the end of this post anyway- well done and thank you!)? Have you ever visited the set? What other TV sets have you visited? Lucky you – its the one daytime programme I love to watch !